Curtains Blinds Wallpaper Singapore: How to Measure HDB Window for Curtain and Blinds? How to Measure HDB Window for Curtain and Blinds? People want to install curtain and blinds in their HDB units. These items are very useful to improve the look and appearance of your HDB unit. It is important that you prepare all important things before you can install these items. There are some useful tips that you can follow, so you can install these items easily. It is also important for you to measure the HDB window correctly. This article can show you on how to measure your HDB windows correctly. It is very easy and simple to follow some of these tips for measuring your HDB window completely. This is the most important thing that you can do, so you can measure your HDB windows correctly. 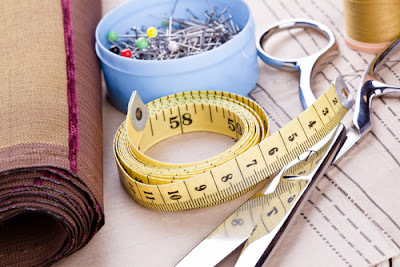 It is very important to make sure that you prepare some important measurement tools, for example ruler, measurement tape, pencil, and some other tools. These items can be used to help you measure the window inside your HDB unit easily. You should combine several tools, so you can get benefits and advantages from these tools. 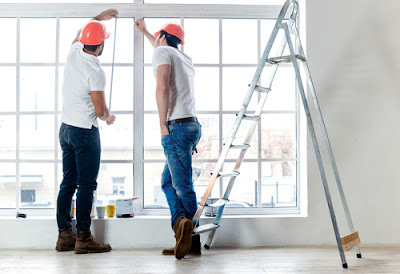 When you are planning to measure your window size, you should take a look at this simple tip. This tip requires you to measure the height and width of your window correctly. Those dimensions are very useful to help you find the right curtains and blinds with the right size for your window. This is another important step that you have to do, so you can find your favorite curtains and blinds easily. Make sure that you add a few inches to the window heights and widths before you buy the best products for yourself. You can also find some regular curtains with standard size on the market today. This is another important factor that should be considered today. Most windows in many HDB units usually have window frames. It is very important for you to take a look at your window frame. Don't forget to measure the thickness of this frame. The thickness of this frame can determine the width or height of your curtains. Some windows have thick frames, so you need long and wide curtains to cover these frames. However, some people want to show their window frames in their HDB units. The option for showing the window frame is actually yours. Therefore, you can select the right option that is suitable for your needs. The curtain mounting system is another factor that you should consider before you can choose the best curtains or blinds. Make sure that you take a look at the mounting system for attaching your curtain to the window. Don't forget to decide the right location for mounting your curtain. This position also plays an important role for determining the size of your curtains. When you are planning to find high quality curtains and blinds with proper size, you should consider this important system in your HDB unit. Different people may want to buy their favorite curtains or blinds with their favorite length. You can decide the right curtain length that is suitable for your needs. Some people want to choose the long curtains for covering their windows in their HDB units. Therefore, you have to consider this factor very carefully when you measure your HDB window. If you want to measure the window in your HDB unit properly, you should consider this important factor. Make sure that you take a look at your preferences and needs before selecting the best property for yourself. They are some useful tips that can help you find the right curtains or blinds with the right size. You can contact some professional interior designers. Reliable designers should be able to help you find the right curtains for your windows. Some of them have a lot of experience in determining the right size for your curtains. It is very important to select the best products that are suitable for your needs. Make sure that you compare some curtains or blinds before selecting your favorite product today. Some designers can help you choose the best curtain installation service for installing the best curtains for your HDB windows.